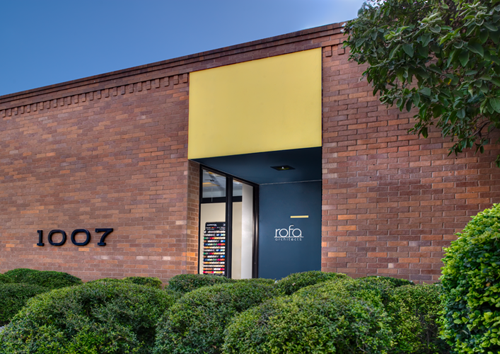 History | ROFA Architects, Inc.
ROFA Architects Inc. was established in 1949 in McAllen Texas by Mr. Zeb Rike, as Zeb Rike Architects. In 1968, after graduating from Texas A&M University and serving in the US Navy, Mr. Dan Ogden joined the firm and in 1972 the firm name became Rike Ogden Architects. Then in 1978 and again in 1981 Mr. Luis Figueroa, after receiving his post graduate degree from Texas A&M University, joined the firm and was elevated to principal in 1985. Thus, the name Rike Ogden Figueroa Architects Inc. Since then, the firm has evolved in the inclusion and passing of other principal members of the firm. In 1983, Mr. Michael Allex graduated from Texas Tech University. He joined the firm in 1993 and became a principal in 1994 and in 2005, the firm received its current name Rike Ogden Figueroa Allex Architects, Inc. Throughout its history, ROFA has continued its original mission of service, stability, innovations and quality service to the Rio Grande Valley. ROFA is a corporation. Having worked with nearly every school district in the Rio Grande Valley, ROFA has acquired unsurpassed experience in educational architecture. Recent clients include Harlingen CISD, Brownsville CISD, Santa Rosa ISD, Mercedes ISD, PSJA ISD, Raymondville ISD, Mission CISD. Our experience with governmental agencies includes has afforded us the opportunity to design numerous City Halls, Police Stations, Administrative offices and Recreational Parks. Our clients include The Texas National Guard Armory Board, General Services Commission, United States Postal Service, Texas Department of Transportation, Texas Parks and Wildlife. In addition, we have worked with numerous Counties and Municipalities such Harlingen, McAllen, South Padre Island and La Feria, Hidalgo County and Cameron County. We have a successful working relationship with the Diocese of Brownville. Over the last 5 years, we have designed 6 religious buildings for The Diocese. We have worked with many Catholic and Protestant Churches in The Rio Grande Valley. Most recently we have worked with St. Anthony – Harlingen, St. Joseph – Edinburg, Our Lady of Sorrows – McAllen, Sacred Heart – Edinburg, Lord of Divine Mercy – Brownsville, First United Methodist – Harlingen, and Covenant Presbyterian Church – Harlingen.